Negotiations are urgently needed to avert "a civilian bloodbath" in Syria's last major rebel bastion Idlib, the UN said Thursday, after regime forces shelled the area ahead of an expected assault. "The war cannot be allowed to go to Idlib," the head of the United Nations humanitarian taskforce for Syria, Jan Egeland, told reporters in Geneva. President Bashar al-Assad has warned that the northwestern province would be his military's next priority. Artillery and rocket fire reportedly slammed into rebel and jihadist positions in the area earlier on Thursday. Egeland said he remained "hopeful" that diplomatic efforts underway could stave off a major ground offensive that would force hundreds of thousands to flee. "It is bad now," in Idlib, Egeland said. "It could be 100 times worse." 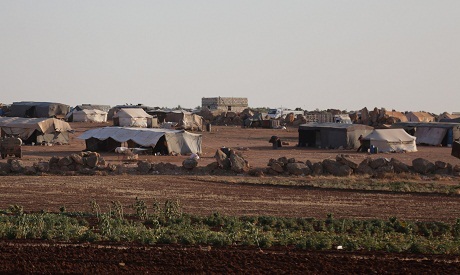 Idlib is home to about 2.5 million people, up to half of whom are rebels and civilians transferred en masse from other territory that fell to Syrian troops after intense assaults. A major military operation in Idlib would pose a particular humanitarian nightmare because there is no opposition territory left in Syria where people could be evacuated to, Egeland said. "I cannot see evacuations to other opposition-controlled areas," he said, explaining that contingency plans were being formed to deal with a range of scenarios. At Thursday's humanitarian taskforce meeting, ambassadors discussed options to ramp up assistance in the event of additional massive displacement, Egeland said, noting that "it is very hard to take on more mouths to feed and there is no (additional) shelter available" in the area. Ensuring that Turkey keeps its border open for those who might flee an assault by Damascus would be a priority, he added. "The scenario that we really need to avoid at any cost is the big war coming to civilian areas (in Idlib)," the UN official said. He added that he was "heartened" to hear diplomats from Assad allies Russia and Iran as well as opposition backer Turkey say they were committed to avoiding a large-scale offensive. Egeland said the string of rebel surrender deals brokered elsewhere during the Syrian conflict could be applied in Idlib to save civilian lives. Around 60 percent of the area is now held by Hayat Tahrir al-Sham (HTS), which is led by Al-Qaeda's former Syria affiliate, while the rest is controlled by rival opposition factions.